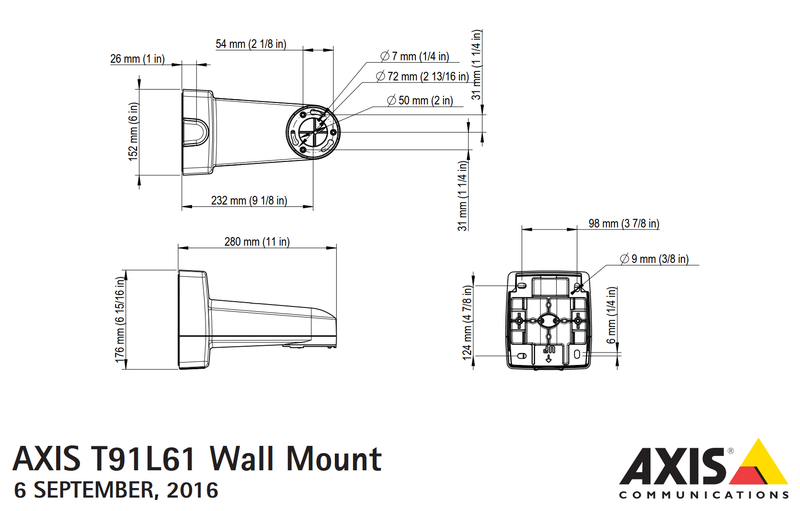 The Axis T91L61 has been designed for Axis PTZ and multisensor cameras, this mount enables users to quickly connect to power and data to the camera through a built-in Ethernet cable with an IP66 RJ45 connector. The bracket can be simply flipped over for flexible mounting on either walls or poles (separate stainless steel straps required for pole installation. The mount can be used in both indoor and outdoor environments due to its impact resistance and outdoor proven material.